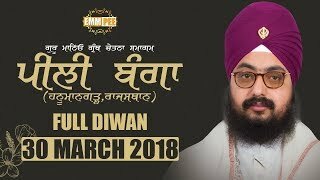 Through a unique meeting a month ago, Bhai Ranjit Singh Khalsa Dhadrianwale had revealed the truth behind the roots of the country's disunity issue and the disturbing contention encompassing the Sikh 'Rehat Maryada' (or set of principles). Sikhs over the globe who tuned in to that meeting in-full valued the perspective and thinking that had been advanced, making it maybe the most noteworthy arrangement orientated message on the most proficient method to move towards enduring "Ekta" inside the country. In any case, others recklessly determined twisted in neglecting, misjudging and assaulting whatever Bhai Ranjit Singh Khalsa needs to state did not change their typical strategies in doing whatever they can to confuse the message. For instance, a UK-based periphery aggregate known as the "Jagowale" squandered no time, of course, to discharge a recording of their little gathering exchange (yet moderate or sit still in discharging bunch dialog recordings on different issues). Rather than noting the essential, direct and intelligent inquiries raised by Bhai Ranjit Singh Khalsa, throughout the most recent month these individuals have answered with excess, strange and ambiguous meandering that is silly, as well as unjustifiable. 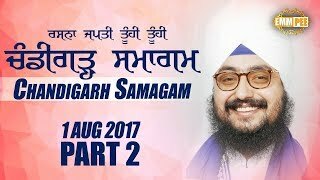 In a unique 55-minutes talk recorded at Gurdwara Parmeshar Dwar Sahib Patiala on 12 July 2017 and discharged into the media on 13 July 2017, Bhai Ranjit Singh Khalsa expressed that as opposed to noting the inquiries, these individuals answer back with criminal demise dangers. 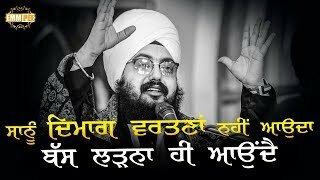 Rather than returning to Bhai Ranjit Singh Khalsa with intelligent counter-contentions in a cultivated way, they have been caught up with overstating or manufacturing stories about "what occurs at Parmeshar Dwar". 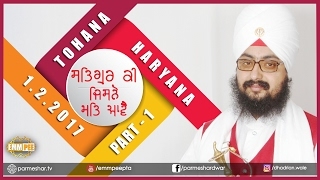 "Regardless of the possibility that for one moment we expect I am thoroughly wrong and all that they say in regards to me and Parmeshar Dwar is absolutely valid, that still does not give them the privilege to make their own particular Maryada and advance it through the Panj Pyaare – it doesn't answer the inquiries", he said. What is reality behind the absence of solidarity in the country? The 'Amrit Bata' should have been utilized to join the country, however unexpectedly the same 'Amrit Bata' has been utilized to make divisions. There are as of now around ten diverse "Maryada" forms effectively utilized inside the country by different distinctive associations. The current Akal Takht Rehat Maryada is in no way, shape or form idealize, yet it is the nearest form to Guru Granth Sahib Ji's theory. The one Maryada ought to be utilized as the beginning stage to make solidarity and once the country is under the umbrella of a solitary set of accepted rules, at that point that set of accepted rules can later be consummated by the different associations all in all. 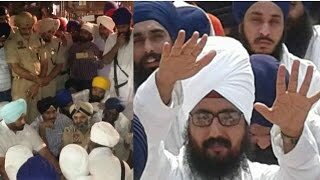 The current "Jathedars" sitting at the Akal Takht ought to have been advancing solidarity under the one Rehat Maryada, yet signs given at the 6 June 2017 occasion point towards breaking the current Rehat Maryada to rather cause greater disunity. Bhai Ranjit Singh Khalsa is not assaulting Sikh history, but rather is absolutely unwilling to acknowledge that history which has obtrusively been messed with. Kavi Santokh Singh's 'Gur Partap Suraj Parkash Granth' is as often as possible utilized as a hotspot for some areas of Sikh history by Sikh evangelists. Notwithstanding, the same Suraj Parkash claims that Guru Nanak Dev Ji in the long run wore the Hindu "Janeu" string (a test to a key establishment of the Sikh confidence), that Guru Gobind Singh Ji led a "Havan" custom for a long time to call upon some Hindu "Devi" goddess, that the Hindu "Devi" goddess was associated with the making of Guru Gobind Singh Ji's Amrit Sanchar idea, that Guru Gobind Singh Ji guaranteed the Hindu "Devi" goddess to relinquish his family, among various other such ludicrous articulations. On various events, it is composed in the Suraj Parkash that Guru Gobind Singh Ji expended medications, for example, palatable cannabis and opium. 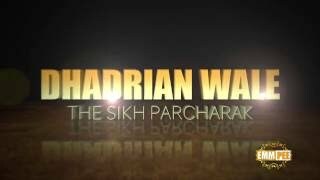 By what means can such alleged "Puratan" writings be acknowledged as honest to goodness truth and a reasonable hotspot for Sikh history? There are hazardous explanations made in the Suraj Parkash as clear endeavors to connect the establishments of the Sikh confidence to the Hindu confidence. The Suraj Parkash says Guru Har Rai Ji wedded seven girls at age ten out of one go, demonstrating the most youthful "lady" more likely than not been a creeping child! Would we be able to acknowledge this as our history? We can just acknowledge that history which is in accordance with Guru Granth Sahib Ji, not history that has been altered by outer powers. Such false articulations must be cleared from the brilliant pages of the authentic Sikh history. A considerable measure of obstruction includes occurred inside the Sikh country and a ton of what we have been told is a lie, doubtlessly imagined by the foes of Guru Sahib Ji's reasoning. Any person who inquiries such defamation of the Sikh Guru's and the conspicuous altering of the rich Sikh history is marked as a "Gurnindak". The individuals who talk about a particular Rehat Maryada for Panthic solidarity are focused with projectiles and viciousness. Bhai Ranjit Singh Khalsa said he has appreciated unparalleled regard and support from Sikhs over the world, for more than eighteen years. 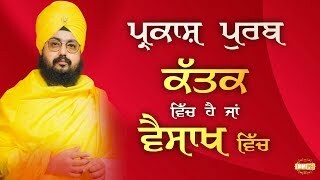 He recognizes the way that he could undoubtedly have kept on staying as before by remaining quiet on vital issues and turning into an 'accommodating person', to keep all upbeat by staying in the center hazy area, however he has rather advanced reality of Gurbani and straightforwardly talk just what he feels is correct – paying little heed to whether that fact harms companion or adversary. For that, he has selected to give up the noteworthy approach and rather acknowledge the way that numerous unfit to grasp reality will fall back on obscene dialect and criminal dangers. Each Sikh maintains their free authority to talk their heart without the dread of oppression. Bhai Ranjit Singh Khalsa says that he is not under any outside impact, but rather is in all out peace by honing that privilege to let out reality from inside. 2) Sikhs partnered to associations yet have a receptive outlook with a genuine want to join the country in 'Chardi Kala'. Bhai Ranjit Singh Khalsa has addressed, "Where have I assaulted Gurbani or Amrit, where is the confirmation? What I have positively assaulted is your false ways!" "Regardless of the possibility that you slaughter me now, it is past the point of no return as these legitimate inquiries are transparently in the overall online media – the future era will address you, they will address you precisely what I have addressed you". There is data (and recorded confirmation) that individuals living at Parmeshar Dwar are being drawn nearer with fixes to join bunches who are attempting to dishonor Bhai Ranjit Singh Khalsa. Many have gone back and forth from Parmeshar Dwar. Such endeavors to ruin reality will stay unsuccessful. These individuals have dependably struggled against the teacher gatherings, however now the alleged "Babeh" and the false evangelists are fighting against somebody who knows their own amusement – back to front. 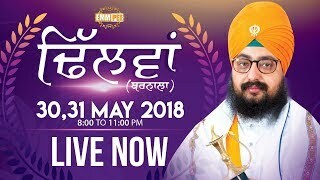 The individuals WHO ARE CONFUSED ABOUT WHY BHAI RANJIT SINGH KHALSA HAS ALTERED HIS APPROACH AND THINKING SHOULD WATCH THIS SPECIAL TALK IN-FULL AND IN ONE-SITTING IN ORDER TO APPRECIATE THE UNBIASED TRUTHFUL FACTSThrough an uncommon meeting a month ago, Bhai Ranjit Singh Khalsa Dhadrianwale had revealed the truth behind the roots of the country's disunity issue and the disturbing debate encompassing the Sikh 'Rehat Maryada' (or set of principles). Sikhs over the globe who tuned in to that meeting in-full valued the point of view and thinking that had been advanced, making it maybe the most noteworthy arrangement orientated message on the best way to move towards enduring "Ekta" inside the country. Notwithstanding, others recklessly determined bowed in ignoring, confounding and assaulting whatever Bhai Ranjit Singh Khalsa needs to state did not change their typical strategies in doing whatever they can to misjudge the message. For instance, a UK-based periphery assemble known as the "Jagowale" squandered no time, of course, to discharge a recording of their little gathering dialog (but moderate or sit still in discharging bunch talk recordings on different issues). Rather than noting the essential, clear and cognizant inquiries raised by Bhai Ranjit Singh Khalsa, in the course of the most recent month these individuals have answered with excess, silly and muddled drifting that is silly, as well as ridiculous. 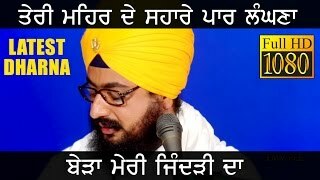 In a unique 55-minutes talk recorded at Gurdwara Parmeshar Dwar Sahib Patiala on 12 July 2017 and discharged into the media on 13 July 2017, Bhai Ranjit Singh Khalsa expressed that as opposed to noting the inquiries, these individuals answer back with criminal passing dangers. Rather than returning to Bhai Ranjit Singh Khalsa with legitimate counter-contentions in an acculturated way, they have been caught up with misrepresenting or manufacturing stories about "what occurs at Parmeshar Dwar". 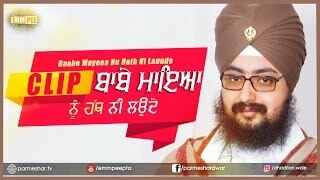 "Regardless of the possibility that for one moment we expect I am absolutely wrong and all that they say in regards to me and Parmeshar Dwar is thoroughly valid, that still does not give them the privilege to make their own Maryada and advance it through the Panj Pyaare – it doesn't answer the inquiries", he said. What is reality behind the absence of solidarity in the country? The 'Amrit Bata' should have been utilized to join the country, yet unexpectedly the same 'Amrit Bata' has been utilized to make divisions. There are as of now around ten diverse "Maryada" forms effectively utilized inside the country by different distinctive associations. The current Akal Takht Rehat Maryada is in no way, shape or form consummate, yet it is the nearest form to Guru Granth Sahib Ji's reasoning. The one Maryada ought to be utilized as the beginning stage to make solidarity and once the country is under the umbrella of a solitary set of principles, at that point that set of accepted rules can later be consummated by the different associations all things considered. 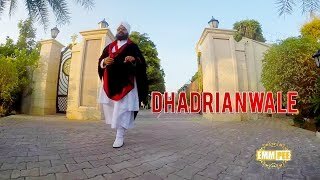 The current "Jathedars" sitting at the Akal Takht ought to have been advancing solidarity under the one Rehat Maryada, however signs given at the 6 June 2017 occasion point towards breaking the current Rehat Maryada to rather cause greater disunity. Bhai Ranjit Singh Khalsa is not assaulting Sikh history, but rather is surely unwilling to acknowledge that history which has obtrusively been messed with. Kavi Santokh Singh's 'Gur Partap Suraj Parkash Granth' is often utilized as a hotspot for some areas of Sikh history by Sikh evangelists. Notwithstanding, the same Suraj Parkash claims that Guru Nanak Dev Ji in the long run wore the Hindu "Janeu" string (a test to a key establishment of the Sikh confidence), that Guru Gobind Singh Ji led a "Havan" custom for a long time to call upon some Hindu "Devi" goddess, that the Hindu "Devi" goddess was engaged with the making of Guru Gobind Singh Ji's Amrit Sanchar idea, that Guru Gobind Singh Ji guaranteed the Hindu "Devi" goddess to relinquish his family, among various other such silly proclamations. On various events, it is composed in the Suraj Parkash that Guru Gobind Singh Ji expended medications, for example, eatable cannabis and opium. 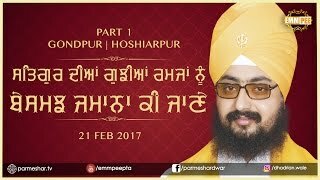 In what manner can such purported "Puratan" writings be acknowledged as absolute truth and a sensible hotspot for Sikh history? There are risky articulations made in the Suraj Parkash as clear endeavors to connect the establishments of the Sikh confidence to the Hindu confidence. The Suraj Parkash says Guru Har Rai Ji wedded seven little girls at age ten of every one go, showing the most youthful "lady of the hour" more likely than not been a creeping infant! Would we be able to acknowledge this as our history? We can just acknowledge that history which is in accordance with Guru Granth Sahib Ji, not history that has been altered by outer powers. Such false explanations must be cleared from the brilliant pages of the true blue Sikh history. A considerable measure of obstruction includes occurred inside the Sikh country and a great deal of what we have been told is a lie, probably created by the adversaries of Guru Sahib Ji's reasoning. Any person who inquiries such defamation of the Sikh Guru's and the explicit altering of the rich Sikh history is named as a "Gurnindak". The individuals who talk about a solitary Rehat Maryada for Panthic solidarity are focused with slugs and savagery. Bhai Ranjit Singh Khalsa said he has appreciated unparalleled regard and support from Sikhs over the world, for more than eighteen years. He recognizes the way that he could without much of a stretch have kept on staying as before by remaining quiet on imperative issues and turning into an 'accommodating person', to keep all cheerful by staying in the center hazy area, however he has rather advanced reality of Gurbani and transparently talk just what he feels is correct – paying little heed to whether that fact harms companion or enemy. For that, he has picked to give up the notable approach and rather acknowledge the way that numerous unfit to appreciate reality will fall back on indecent dialect and criminal dangers. Each Sikh claims their free authority to talk their heart without the dread of mistreatment. Bhai Ranjit Singh Khalsa says that he is not under any outside impact, but rather is in absolute peace by rehearsing that privilege to let out reality from inside. 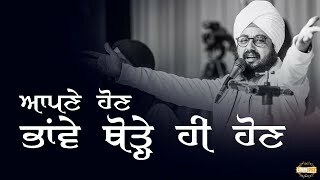 2) Sikhs associated to associations however have a receptive outlook with a genuine want to join the country in 'Chardi Kala'. Bhai Ranjit Singh Khalsa has addressed, "Where have I assaulted Gurbani or Amrit, where is the proof? What I have unquestionably assaulted is your false ways!" "Regardless of the possibility that you execute me now, it is past the point of no return as these substantial inquiries are transparently in the overall online media – the future era will address you, they will address you precisely what I have addressed you". There is data (and recorded confirmation) that individuals living at Parmeshar Dwar are being drawn nearer with fixes to join bunches who are attempting to dishonor Bhai Ranjit Singh Khalsa. Many have traveled every which way from Parmeshar Dwar. Such endeavors to dishonor reality will stay unsuccessful. These individuals have dependably fought against the minister gatherings, yet now the purported "Babeh" and the false evangelists are doing combating against somebody who knows their own diversion – back to front. 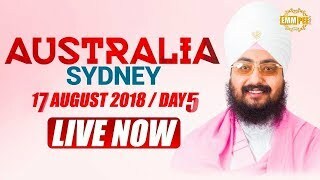 The individuals WHO ARE CONFUSED ABOUT WHY BHAI RANJIT SINGH KHALSA HAS ALTERED HIS APPROACH AND THINKING SHOULD WATCH THIS SPECIAL TALK IN-FULL AND IN ONE-SITTING IN ORDER TO APPRECIATE THE UNBIASED TRUTHFUL FACTSThrough an extraordinary meeting a month ago, Bhai Ranjit Singh Khalsa Dhadrianwale had revealed the truth behind the starting points of the country's disunity issue and the disturbing debate encompassing the Sikh 'Rehat Maryada' (or set of accepted rules). Sikhs over the globe who tuned in to that meeting in-full valued the manner of thinking and thinking that had been advanced, making it maybe the most huge arrangement orientated message on the best way to move towards enduring "Ekta" inside the country. Be that as it may, others recklessly determined twisted in dismissing, confusing and assaulting whatever Bhai Ranjit Singh Khalsa needs to state did not change their typical techniques in doing whatever they can to confound the message. For instance, a UK-based periphery gather known as the "Jagowale" squandered no time, obviously, to discharge a recording of their little gathering exchange (but moderate or sit still in discharging bunch talk recordings on different issues). Rather than noting the fundamental, direct and intelligent inquiries raised by Bhai Ranjit Singh Khalsa, in the course of the most recent month these individuals have answered with excess, strange and unintelligible meandering that is silly, as well as ridiculous. 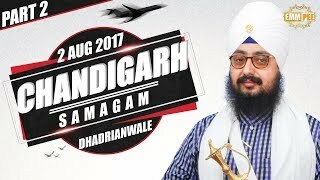 In an extraordinary 55-minutes talk recorded at Gurdwara Parmeshar Dwar Sahib Patiala on 12 July 2017 and discharged into the media on 13 July 2017, Bhai Ranjit Singh Khalsa expressed that as opposed to noting the inquiries, these individuals answer back with criminal demise dangers. 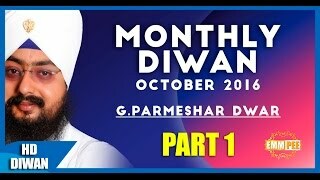 Rather than returning to Bhai Ranjit Singh Khalsa with consistent counter-contentions in a humanized way, they have been occupied with overstating or manufacturing stories about "what occurs at Parmeshar Dwar". 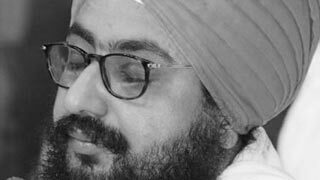 "Regardless of the possibility that for one moment we accept I am thoroughly wrong and all that they say in regards to me and Parmeshar Dwar is absolutely valid, that still does not give them the privilege to make their own Maryada and advance it through the Panj Pyaare – it doesn't answer the inquiries", he said. What is reality behind the absence of solidarity in the country? The 'Amrit Bata' should have been utilized to join the country, yet unexpectedly the same 'Amrit Bata' has been utilized to make divisions. There are as of now around ten diverse "Maryada" forms effectively utilized inside the country by different distinctive associations. The current Akal Takht Rehat Maryada is in no way, shape or form consummate, however it is the nearest form to Guru Granth Sahib Ji's logic. The one Maryada ought to be utilized as the beginning stage to make solidarity and once the country is under the umbrella of a solitary set of principles, at that point that set of accepted rules can later be consummated by the different associations altogether. 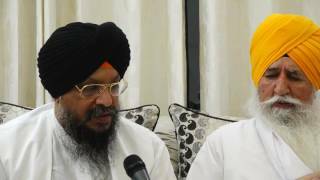 The current "Jathedars" sitting at the Akal Takht ought to have been advancing solidarity under the one Rehat Maryada, however signs given at the 6 June 2017 occasion point towards breaking the current Rehat Maryada to rather cause greater disunity. Bhai Ranjit Singh Khalsa is not assaulting Sikh history, but rather is unquestionably unwilling to acknowledge that history which has obtrusively been altered. Kavi Santokh Singh's 'Gur Partap Suraj Parkash Granth' is as often as possible utilized as a hotspot for some segments of Sikh history by Sikh evangelists. 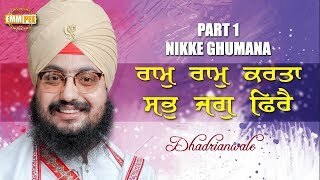 In any case, the same Suraj Parkash claims that Guru Nanak Dev Ji in the long run wore the Hindu "Janeu" string (a test to a key establishment of the Sikh confidence), that Guru Gobind Singh Ji led a "Havan" custom for a long time to call upon some Hindu "Devi" goddess, that the Hindu "Devi" goddess was engaged with the making of Guru Gobind Singh Ji's Amrit Sanchar idea, that Guru Gobind Singh Ji guaranteed the Hindu "Devi" goddess to yield his family, among various other such preposterous explanations. On various events, it is composed in the Suraj Parkash that Guru Gobind Singh Ji devoured medications, for example, consumable cannabis and opium. By what means can such purported "Puratan" writings be acknowledged as absolute truth and a sensible hotspot for Sikh history? There are risky articulations made in the Suraj Parkash as evident endeavors to connect the establishments of the Sikh confidence to the Hindu confidence. The Suraj Parkash says Guru Har Rai Ji wedded seven girls at age ten out of one go, showing the most youthful "lady of the hour" more likely than not been a slithering infant! Would we be able to acknowledge this as our history? We can just acknowledge that history which is in accordance with Guru Granth Sahib Ji, not history that has been altered by outer powers. Such false proclamations must be cleared from the brilliant pages of the true blue Sikh history. A great deal of impedance includes occurred inside the Sikh country and a considerable measure of what we have been told is a lie, in all probability designed by the foes of Guru Sahib Ji's reasoning. Any person who inquiries such criticism of the Sikh Guru's and the explicit altering of the rich Sikh history is named as a "Gurnindak". The individuals who talk about a solitary Rehat Maryada for Panthic solidarity are focused with projectiles and savagery.